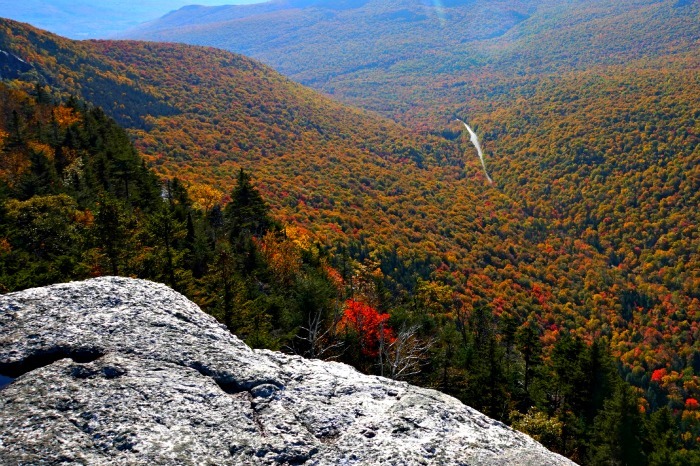 Table Rock, a vista point located in Maine’s Grafton Notch State Park and part of the Appalachian Trail has some extraordinary views. 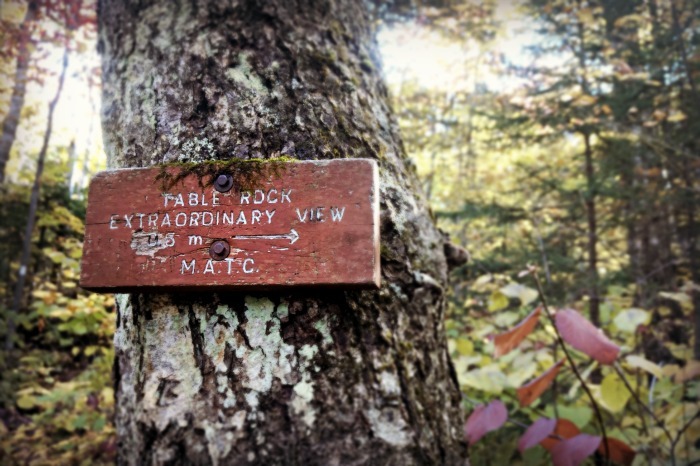 So extraordinary, it’s been carved into a trail sign! 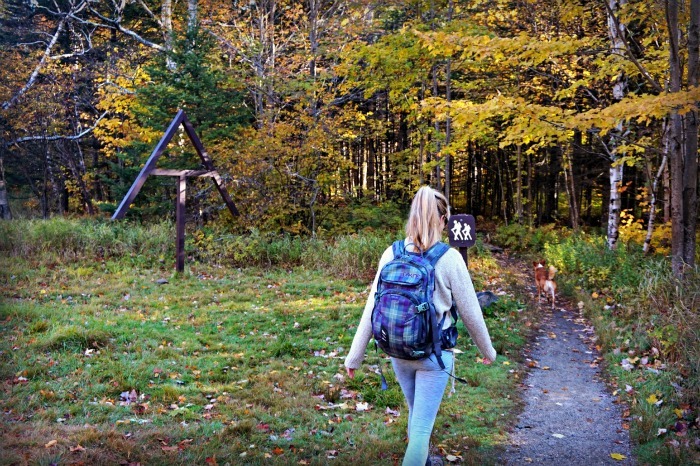 For many New Englanders, the drive may be a little too far to justify a short 2 1/2 mile roundtrip hike. 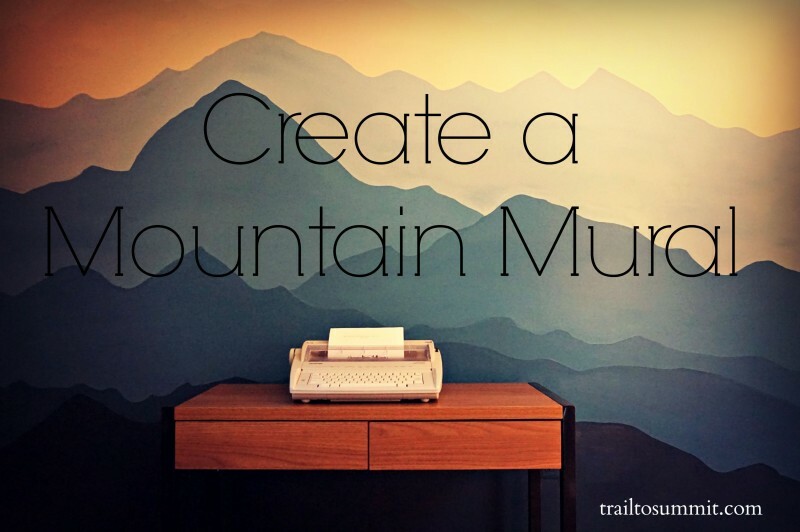 It does happen to share the same trailhead as Old Speck and can easily be added to a hike of the Baldpates. The trail begins off Route 26 in Newry, Maine. The parking area is on the left and you must cross 26 (can be busy- use caution) to access the Appalachian Trail. Shortly after you begin the hike, you will reach a trail intersection with two different options. 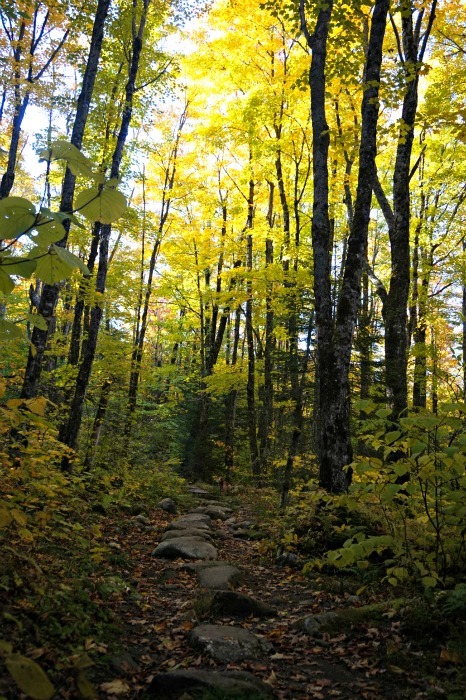 The left directs you to Baldpate Mountain which was our ultimate destination of the day. 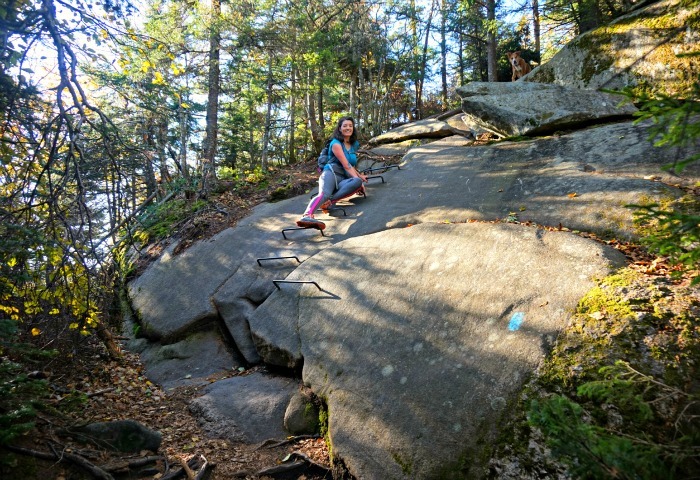 We took this trail and later learned the right trail is more difficult with boulders. 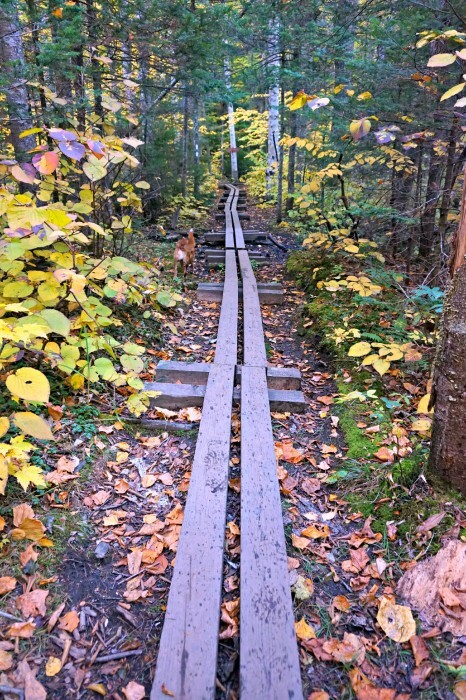 As we continued the trail ascended gently and provided wooden planks to cross over most of the muddy areas. We soon came to another junction with a sign that said .8 to Table Rock. 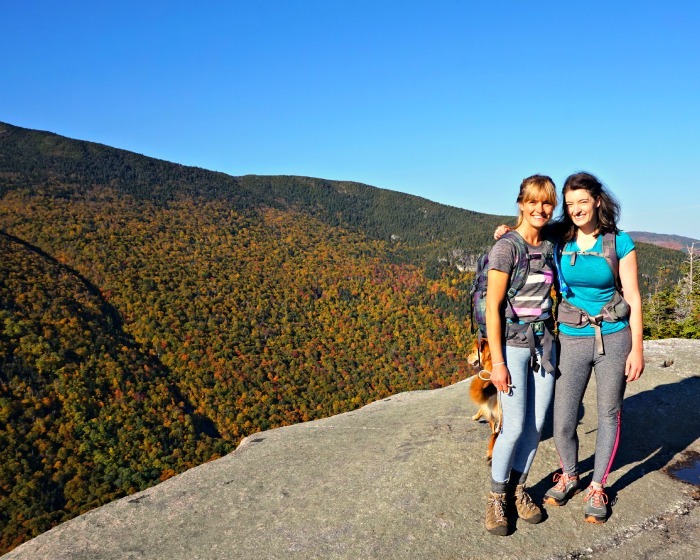 We wanted to hike the Baldpates first and grab Table Rock on our way down. Soon after a final junction marked Table Rock as only a half mile away so we decided to head up before we went to the Baldpates. The trail does steepen, but it’s doesn’t last long and is quite a bit of fun! Heading up metal rungs on this blue blazed path. 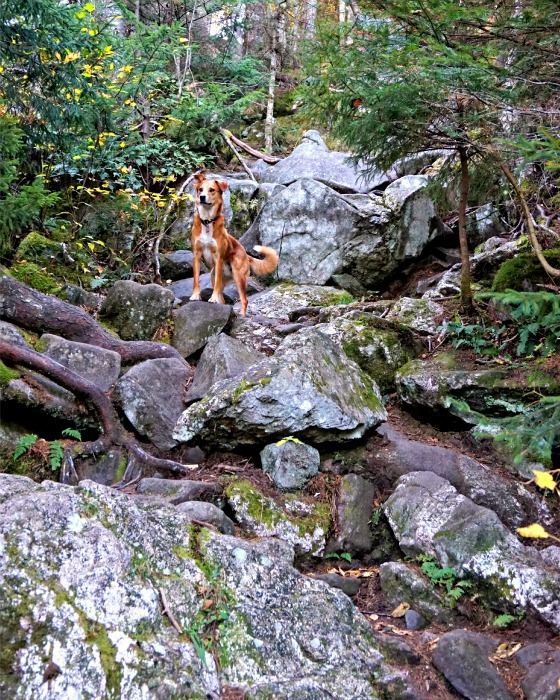 Four legged friends make trails like this look easy! After a bit of scrambling you are rewarded with those extraordinary views. I must say, the sign didn’t lie! Friends, dogs, and fall foliage. What a way to spend a birthday! I of course couldn’t help but live life on the edge. A nice place to get a little yoga in! After a snack and some photos we headed down the trail and connected back to our path to the Baldfaces. 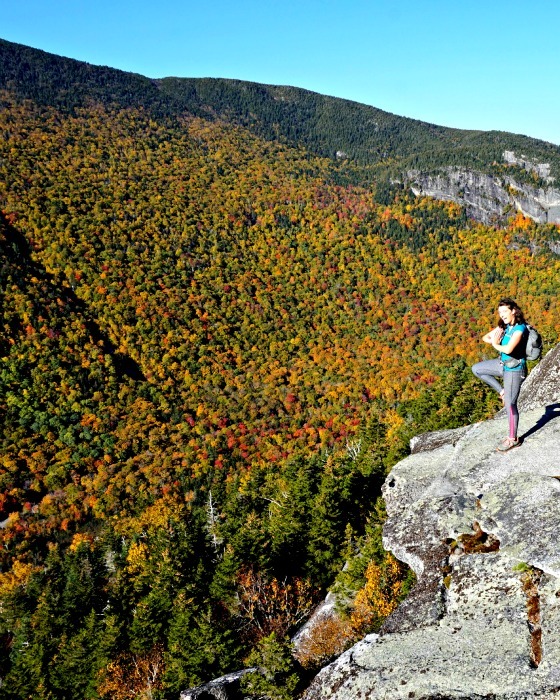 If you’re ever in Grafton Notch and find yourself with some extra time, make sure you hike Table Rock. This 1,400 foot view point is quite spectacular!